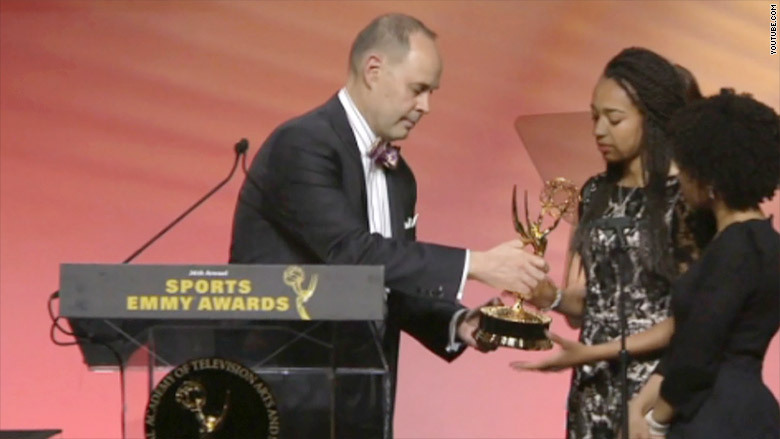 During his acceptance speech, Johnson decided the award instead belonged to the late ESPN sportscaster Stuart Scott, who was also nominated. 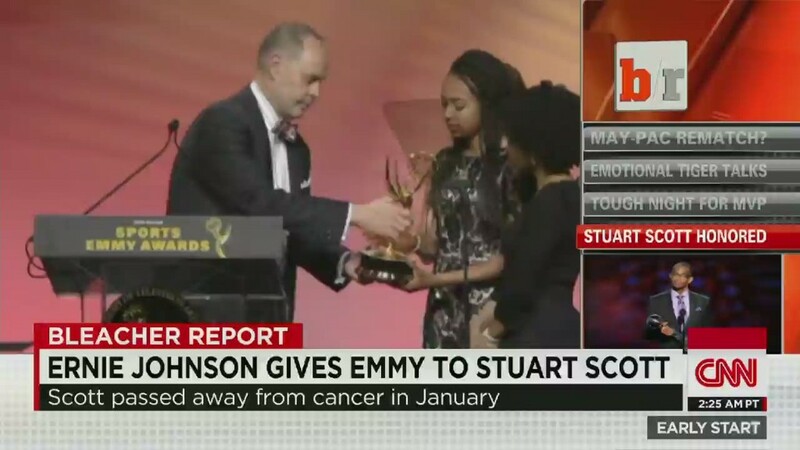 "There's only one place where it belongs and that's on the mantle at Stuart Scott's house," Johnson said of the Emmy. He then called Scott's daughters, Taelor and Sydni, to the stage to accept the award. Scott, a veteran "SportsCenter" anchor, died in January at the age of 49 after years of battling cancer. Johnson, who hosts NBA coverage on CNN's sister channel TNT, hugged both daughters. "Like a lot of the people in this room, I loved your dad," Johnson said. "We love Stuart Scott. This is your Emmy." He then stepped away from the podium and asked for the women to speak. "We're honored to be able to be here because he can't be here," said Scott's daughter, Taelor. Johnson's act was immediately praised by his colleagues on Twitter. "To the class act of all class acts, Ernie @TurnerSportsEJ Johnson!" tweeted ESPN host Keith Olbermann Tuesday night, who had also been nominated for the award. Johnson's fellow "Inside the NBA" host Shaquille O'Neal also approved. "This is why I love working with the people I work with at NBA on TNT," O'Neal tweeted on Wednesday.